Building — Covers the physical structure of your studio. Business Personal Property — covers the contents of your studio such as tools, equipment, raw materials, inventory in progress, finished products, valuable papers and records, and electronic data processing. Business Interruption — covers the loss of business income incurred during the period of time your studio is closed due to an emergency. Inland Marine — covers your work while in transit to shows or elsewhere. This can cover your work, booth, shelves, display cases, and so on. Personal Property of Others — coverage for those who work on other people’s property in their own studio. 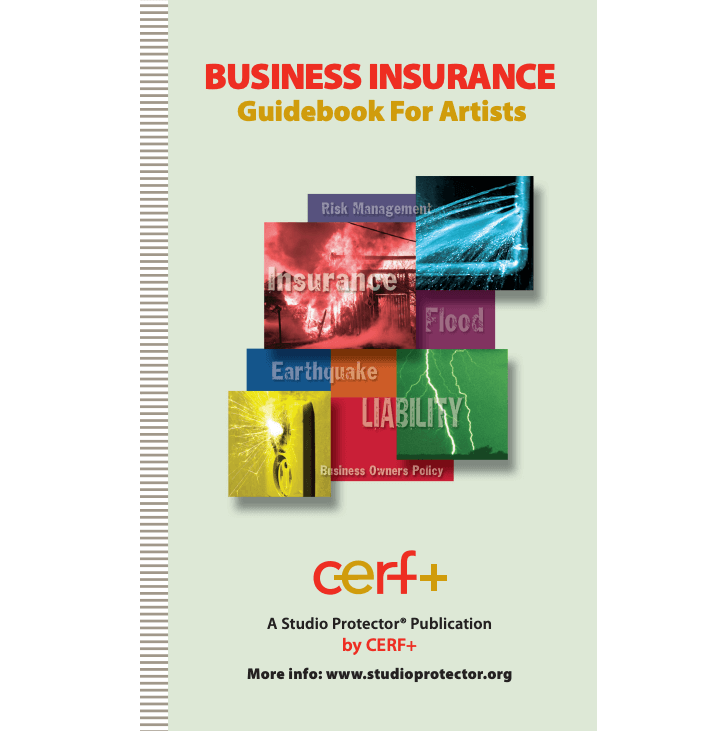 Visit the listing of Business Insurance Plans for Artists as a starting place for researching coverage and requesting quotes. Liability — Liability insurance protects you if someone is injured while on your property or if your property causes damage to others. Umbrella — Protects beyond liability coverage, kicks in when all other liability coverage is exhausted, usually in increments of $1 million. Keep in mind that basic business insurance policies cover risks to property like fire, lightning, explosion, windstorm or hail, smoke, riot, theft, water damage, vandalism, weight of snow, and so on. It may be called “all-risk” coverage, but will most likely have exclusions. Often times flood, earthquake and acts of terrorism are not covered in a standard insurance package so if you feel at risk for these, you may want to investigate additional coverage. Understand what the exclusions in your policy are. Also know the amount or limit of coverage (e.g., up to $25,000 for studio contents, $25,000 for work off-premise, in-transit, etc.) and make sure you get as much protection as you need. Extended Business Income — extends payment for losses of business income beyond Business Interruption coverage time limits. 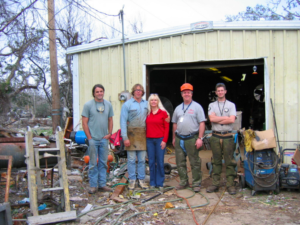 Extra Expense — pays for re-location of your studio, if necessary, due to a significant loss. Employee Dishonesty — covers losses due to dishonest acts of employees. Professional Liability — covers you if you teach, write, or perform some profession-related activity that is not covered by general liability. Product Liability — covers you in the event your product injures someone. Single Exhibit Liability — covers liability for a single event such as a craft show or single performance. These policies can often be obtained quickly to meet show requirements. In most cases it is more cost effective to purchase a general liability policy. Event Liability — liability insurance for a performance, show, or other event that is attended by members of the public. Workers Compensation — covers lost wages and medical costs for an employee injured on the job. A. M. BEST COMPANY, INC.
A. M. Best Company does independent ratings of insurance companies. Register with them to access the financial stability ratings for your current or potential insurance carrier. FRACTURED ATLAS: WHAT KIND OF INSURANCE DO I NEED? If you are not sure what kind of insurance you need, this Fractured Atlas guide will walk you through the options. This insurance industry supported site has information about a wide variety of types of insurance, news items about insurance industry trends, and a variety of consumer-oriented brochures that can be viewed online or downloaded (scroll down to find listings). 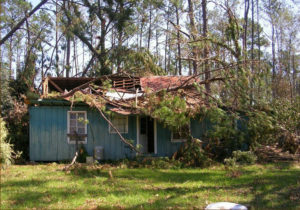 Settling Insurance Claims after a Disaster is especially helpful if you have experienced a loss. Standard & Poor’s does independent ratings of insurance companies. Register with them to access the financial stability ratings for your current or potential insurance carrier. Through your insurance commissioner’s office you can find out if an insurance company is licensed to do business in your state. Some states also maintain complaince rankings for insurance companies doing business in their state. Your insurance commissioner’s office may also be of assistance if you have a claims-related dispute with your insurance company. A non-profit organization dedicated to educating the public on insurance issues and consumer rights. The website contains much useful on purchasing insurance and information relating to making an insurance claim.